For ages, fairies gave people dreams to help them sleep. Then a young apprentice named Emily broke the dream jar and all the night visions soared away! Now you must help Emily collect the missing dreams as quickly as possible. Fortunately, some charming creatures will be on hand to help: magic sheep! You job will be to send the sheep into a house to help the people inside fall asleep, which will allow you to collect their dreams. ...... The only dreams Emily won't be collecting will be yours -- because you won't want to quit playing this thrilling and addictive game! Qweas is providing links to Lambs Of Dreams Game Download 2 as a courtesy, and makes no representations regarding Lambs Of Dreams Game Download or any other applications or any information related thereto. Any questions, complaints or claims regarding this application Lambs Of Dreams Game Download 2 must be directed to the appropriate software vendor. 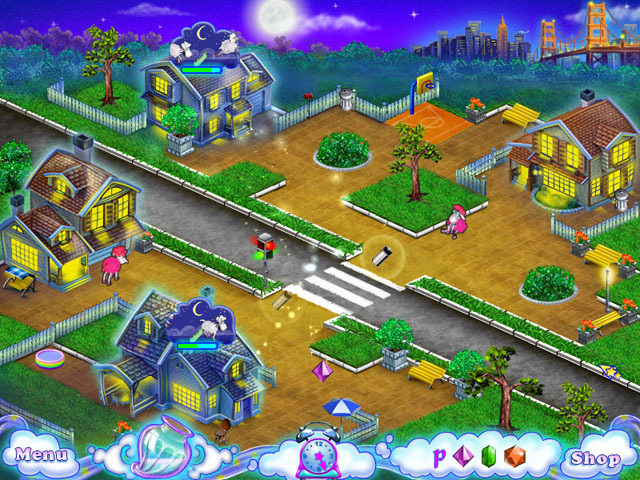 You may click the publisher link of Lambs Of Dreams Game Download on the top of this page to get more details about the vendor.